We are proud of our quality auto, home, and business customer service. 24/7 locksmith service in Bayridge, Brooklyn, NY. Welcome to Bay Ridge locksmith your 24 hour emergency locksmith service in Bay Ridge Brooklyn NY. 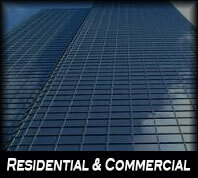 Commercial locksmith Bay Ridge has a large variety of services to help you whenever you need. We are a 24 hour locksmith service provider and our professional technicians can perform many tasks around the clock, for example: re key locks, alarm systems, high security locks, CCTV, Change, install & repair any type of lock. If you need one of the above services we can help you. 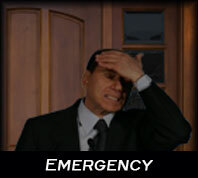 Locksmith Bay Ridge guarantees that one of its technicians will be there to assist you in 20-30 minutes or less. You can call us at anytime; we are available 24 hour a day, 7 days a week, and 365 days a year! We are your local Lock smith services company in Bay Ridge. Bay Ridge residential locksmith has a large variety of services to help you whenever you need. We are a 24 hour locksmith service provider and our professional technicians can perform many tasks around the clock, for example: lock change/install/repair, re key locks, unlock door, key cutting plus many more services. 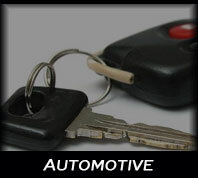 At Bay Ridge locksmith if you need one of the above services we can help you. We can guarantee that one of our technicians will be there to assist you in 30 minutes or less. You can call us at anytime we are available 24 hour a day, 7 days a week, and 365 days a year! If you need Local Locksmith services in Bay Ridge Brooklyn, do not look any further, Bay Ridge Locksmith is the right choice for all your locksmith needs in Bay Ridge Brooklyn NY. If you have purchased a new home or started to rent an apartment it’s worthwhile to do a lock change. You never know who could have duplicates of the keys you are using now. If your lock is not opening as easily as it used to then it may be time for lock repair with simple lubrication and fine tuning of the locks mechanics. If you want new lock installation for your new home it pays to get a professional like us to do it for you. We only install locks that have certified batch and serial numbers. 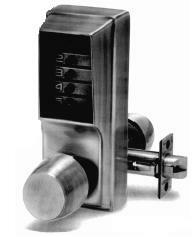 High security locks with batch and serial numbers are great for protecting your commercial property. Makes new keys for old locks this process is done by changing the existing lock slightly so only new keys will open the original locks. With re keying you won’t have to worry about other people having duplicate keys for your old locks. Save time and money by investing in a master key. A master key can open a number of different locks saving you time. Install intercom wiring for all your intercom needs. We can install low voltage and high voltage wiring. Wrong voltage based wiring, data wiring, and phone wiring can be examined and repaired with the appropriate replacements. We can replace you entire wiring system or repair small problems. Our services are perfect for after storm, flood or fire repair. If you want to install a new gate or replace an old gate or if you want powder coating services to increase the durability of the gates, we can assist you. We also deal with automatic gate opener services, DIY installation, iron fencing, and electrification of iron gates. If you have already purchased the gates for your property we can help you install them we can also assist you with powder coating services to utilize the durability of your gates. If you have property that restricts public access we can install access control systems. We help you set up access control with access badges, unique access keys, pin numbers, biometric input systems where finger prints are registered to permit entry. We also install intelligent readers and terminal server control, network enabled control systems, surveillance camera installation and a lot more. We offer these services to businesses such as banks, theaters, schools, hospitals and government offices. We can custom lock and key file cabinets with unique key codes. Every worker in the office will have a security system for the file they deal with. If you have second hand filing we can replace the locks with new ones enhancing theft security. We can also re-key or master key all the file cabinets; we also custom make keypad locks and desk locks. We can cut a new ignition key with the appropriate transponder chip activation if your old ignition key is lost or broken. We also re-program transponder chip in cases where it is not working properly. We provide residential, commercial, automotive, and emergency services for you 24 hours a day, 7 days a week, and 365 days a year. We are your local locksmith company with services providers in the Houston and Dallas areas. Keep our numbers handy 718-285-8774 for the next time you may need locksmith services in Bay Ridge Brooklyn.